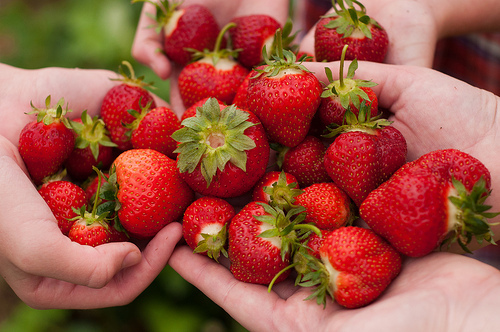 Strawberry season is here. And other summer fruits are just around the corner. So for those of you who enjoy the “pick your own” experience, where do you like to go? When you go, are you there just for the pickings? Or do you like more of an “experience” – hay rides, activities for the kids, fresh baked goods? But I also came across other close by PYO farms that look interesting. Have any of you tried any of these? What was your experience? Nourse Farm (Westborough) strawberries, blueberries, raspberries, blackberries, and pumpkins. Hanson’s Farm (Framingham) strawberries and pumpkins. Belkin Farm (Framingham) strawberries, apples, peaches, plums, nectarines, pears, and pumpkins. Share your favorites and why you love them in the comments.